Greg Bell is an American footballer (NFL) Running back for various teams. He was active in this profession from 1984 to 1990 and then he retired from playing football. Since Greg Bell played football way back in the 1980s, hence information regarding his affairs, marital status, relationship are not available yet. Currently, he is a CEO of athletes for life foundation, which focuses on providing young adults with educational services, mentorship, and guidance to more than 10,000 youth across America. Greg Bell was born on August 1, 1962, in Columbus Ohio. He is an American by birth and his ethnicity is African-American. He went to South High School in Columbus in Ohio. From his early days, Bell showed special interest in football and his love for football turned into a passion and kept improving his skill day by day. In his college life, Greg Bell played football at the University of Notre Dame. He started playing football in college since 1980. From 1980, he played football in college till 1983. Greg started his professional career in 1984 with the Buffalo Bills in the Pro Bowler in which he made 1100 rushing yards and a seven-touchdown season. 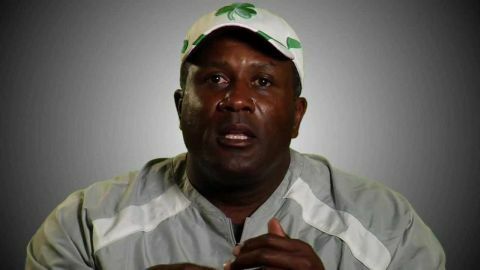 He showed his best performance in the 1988 NFL season while playing with the Los Angeles Rams in which he had 1212 rushing yards and made sixteen touchdowns for the league. He showed similar performance a year later in which he made 1137 rushing yards and fifteen touchdowns and lead the league in the match. During 1980, the footballers were paid an average salary of $78,000 so we can assume that Greg must have earned a salary within that range. Since his professional life as a footballer didn’t last for a long period of time, he must have a very low net worth somewhat in hundred thousand only. Since Greg was active in football profession in the ’80s and during that time there were no online publishing media so it very difficult to have any published information regarding Greg’s personal life, his affairs, his marital status and anything about his family. Greg’s does not seem to have any social media profiles. He could not be found on Twitter and Instagram. He played in the Pro Bowl in 1984 and was awarded PFW NFL Comeback Player of the Year in 1988. He also was titled NFL Rushing Touchdown leader twice in 1988 and 1989.